Make custom high quality, washer safe, iron-ons in any shape and size. Upload your image or use our design tool to add text and images. Iron-On transfers can be applied onto cotton, polyester, spandex, denim, and many other fabrics. Iron-ons are printed on white iron-on material and are not transparent. Missing instructions? Get your ironing instructions here! Create your own custom t-shirts, jackets, socks, pants, accessories and more with StickerYou’s iron-on transfers! Upload your own logos or designs, or browse through our Art Gallery. Our custom iron-on transfers are a great way for you to show off your creativity or personal expression, and are fun and great for any event. Represent your favorite teams, brands and clubs, or celebrate birthday parties, bachelor and bachelorette parties and more with custom iron-on transfers for t-shirts. You can make custom iron-on transfers for t-shirts for your sports team, school club, or event. Use your own artwork to make matching shirts, bandanas, and accessories for you and all of your friends. With no limit in size, shape and quantity, create your own iron-on shirt decals, iron-on logos, iron-on prints, iron-on pictures and more! Our custom iron-on transfers are made out of a durable, washer and dryer-safe material and can be ironed onto your clothing in less than a minute. At StickerYou, you have the ultimate freedom to create custom iron-on transfers in any color, design, message, picture, and more. Once applied, your iron-on t-shirt transfers will stick strong and last long for years to come! What should I use iron-on transfers for? Iron-on transfers (or iron on decals) are great for any occasion. 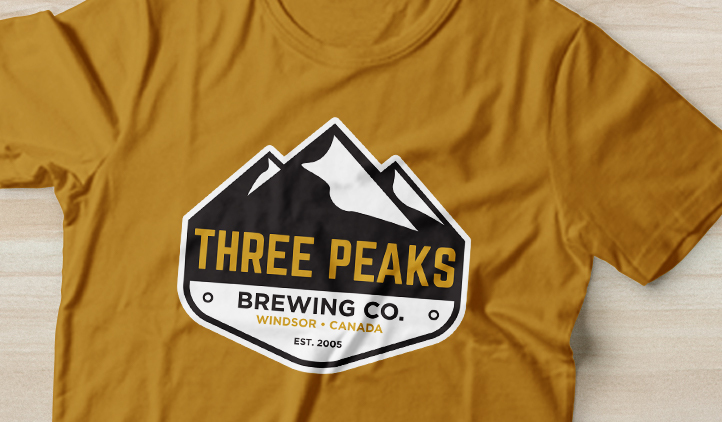 Represent your favourite teams, companies, and clubs, and celebrate birthday parties, bachelor and bachelorette parties, and more with custom iron-on transfers for t-shirts! You can create custom iron-on transfers for clothing and accessories using your own logo or designs, or browse through StickerYou’s art gallery. Iron-on tshirt transfers are fun and great for any event. Design your own iron-on transfers for t-shirts and more for you and all of your friends. Iron-on transfers are also great for kids’ parties by letting them draw out their designs with pens or markers– just help them with ironing them on. Our iron-on transfers adhere to all fabrics as long as it’s flat and smooth. We recommend using our iron-on transfers on clothing that is made up of 100% cotton, 100% polyester, poly-cotton blends, or lycra/spandex fabrics. There’s no limit in size, shape and quantity so you have the ultimate freedom to create custom iron-on transfers in any colour, design, message, picture, and more. If you’ve always wanted to show off your creativity or personal expression, here’s your chance with our iron-on transfers! What is the difference between iron on decals and iron on transfers? Iron on decals is just another name for an iron on transfer. The glue (or adhesive) is heat activated and the image is transferred from one material to another. Because of the transfer process iron on decals are most frequently known as iron on transfers. How do I peel off the iron-on transfers? Our iron-on transfers have die-cuts and can be easily removed from their pages by peeling them off. After they’re peeled off, align them how you want onto your fabric, place your parchment paper on top of the iron-on transfer and let the ironing begin! You can iron on decals, iron on logos, iron on prints, iron on pictures and more! Where should I store my custom iron-on transfers? In order to protect your custom iron-on transfers and prevent them from curling, we recommend that you store them away from heat and sunlight if you aren’t planning to apply them right away. 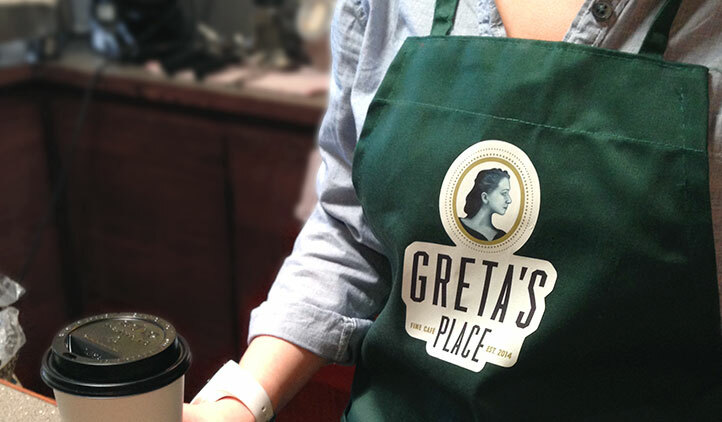 Our iron-on transfers are permanent once they’ve been adhered to your clothing. Along with being washer and dryer safe, they’re also super long lasting so you don’t have to worry about ruining your awesome clothing and accessories with iron-on decals, iron-on logos, iron-on prints, or iron-on pictures! Your iron-on shirt decals and iron-on shirt transfers will last for years so you can continue to rock your super cool t-shirt! What colour are iron-on transfers? Iron-on transfers are printed on white iron-on material and are not transparent. You can also choose any colour of your choice with the eyedropper tool on our Sticker Editor if you don’t want white. Choose any colour that matches your t-shirt iron-ons and all of your custom iron-ons! Will the colour of the iron-on transfers match the colour of my design? Your iron-on transfers will be printed using a 4-colour CMYK process which allows them to accurately match your desired or brand colour. When your iron-on transfers arrive, they may look duller in colour but fear not! Just iron them on and you’ll see how vibrant your iron-on decals, iron-on logos, iron-on prints, and iron-on pictures actually are. 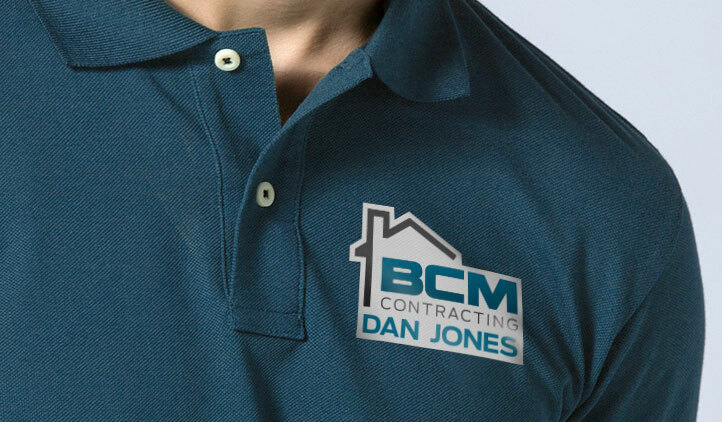 Be bold in colour whether you choose to create a t-shirt iron on or multiple iron-on decals for shirts and stand out from the crowd! Can inner cuts be done on the iron-on transfers? Unfortunately, we don’t do inner cuts on our iron-on transfers. This makes it easier to apply them onto your fabric since its one solid piece rather than multiple separate pieces. If you have an intricate design and do want inner cuts on your iron-on transfers, this can be done through our Art & Design Services. Our Art Team can assist you in creating a brand new custom design including custom art or enhancements that are currently not available within our Art Gallery or Sticker Maker tools. How do I order iron-on transfers? To order our iron-on transfers, simply click create on top of our website, then iron-ons, and choose your format with pages depending on if you want only a single design or multiple designs. From there, you can upload your own images or designs, or browse through our extensive sticker collection! Can I create decals with custom logos? Absolutely! 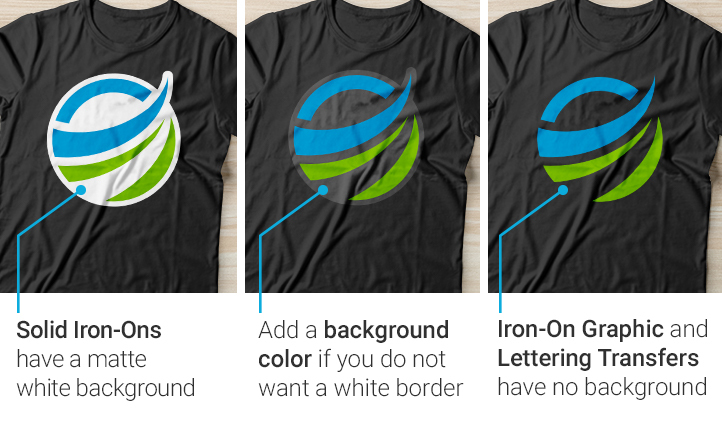 Using our online editor you can create iron on logos. An iron on logo will work as well as any other image. Keep in mind however that the colors in iron on logos will shift slightly depending on the underlying color of the garment. This is sometimes a concern as logos may require exact color replication. Part of a wedding party, staffing an event, running a campaign, part of a beer pong team? You're gonna need some cool shirts to make you stand our from the crowd. For a simple, easy, and creative way to make your own wearable swag, use iron-on transfers from StickerYou! Need to find a memorable way to boost marketing for your brand? No problem! Iron-on transfers are an easy and affordable solution to add a little pizazz to shirts, hats, and other apparel for your small business. StickerYou has Custom Labels on a Roll! We have just the thing you need to make your brand stick. StickerYou now offers roll stickers for large quantity orders! These easy peel-and-stick stickers are a fast and effective way to put your name in front of the people. Whether you’re adding labels to boxes, promoting a band, giving out swag, roll labels from StickerYou are the way to go. Get some bang for your buck with these high-quality, cost effective stickers. Top 10 Party Favours For an Awesome Wedding! Can you hear the wedding bells tolling in your future? Tis the season, brides to be, and we have the hottest wedding favour ideas that are sure to impress your guests and make you the Bride-To-Beat!